Where to start researching hair restoration? You are considering a hair transplant and have questions to ask. It´s common for individuals to have different goals and expectations. For you to have a successful hair transplant make sure you understand the pros and cons. One important aspect to remember is every hair transplant is different. Technically every hair transplant may be performed in a similar manner. Hair characteristics vary from person to person as do expectations. Making every hair transplant unique. – What Are The Main Surgical Hair Transplant Techniques? Follicular Unit Transplant / FUT is the longer established hair transplant technique. The harvesting removes a thin hearing bearing strip. This can measure around the back and sides of the head. Follicular Unit Extraction / FUE is a blind extraction technique. As a result, it is impossible to see below the skin surface when extracting the hair follicles. The FUE safe donor zone is first measured from both sides and back of the head. – Does hair grow naturally after hair transplant? The hair follicles are genetically programmed to grow even after being moved. The transplanted hair often falls out after one month. This is nothing to panic about. It will start to regrow again a few months later. After the initial healing, it can take 12-18 months for full growth. – Can you get a hair transplant if you are completely bald? You need to have sufficient hair around the back and sides of your head for a hair transplant. If the hair characteristics are not good enough a hair transplant is not an option. Good hair characteristics can treat advanced hair loss. A hair transplant can be suitable for a man or women. – Can transplanted hair fall out? With good donor hair management, your hair transplant will be permanent. That said, hair fall is a natural function of the body. It is common to shed between 50-100 hairs every day. And even though Hair Transplant is a permanent and effective solution to baldness, your transplanted hair will fall out temporarily. – Are hair transplants painful? There is virtually no pain during an FUE or FUT hair transplant procedure. They are all performed under a local anaesthetic. Post-operative a pain killer relives any minor discomfort. Any discomfort is generally short-lived. – Am I a suitable candidate for hair transplant surgery? 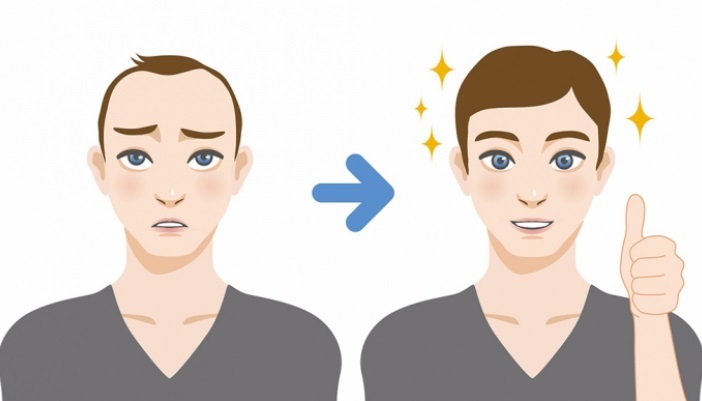 A hair transplant candidate can fall into two categories. The first if they are technically a good candidate. The second if your expectations are realistic to be a good candidate. Suitability is based upon a number of factors, including age, pre-existing health conditions and your hair itself. Research multiple Clinics. Cross-reference the information received. – When can I go back to work and play sports after a hair transplant? A hair transplant is considered a minor medical procedure. Superficial healing takes around 2 weeks. This is the same for the FUT and FUE hair transplant techniques. Returning to work or playing sports can depend on the environment and activity level. Follow the guidelines from your surgeon about exercise. Your Clinic will be able to tell you more and advise you on anything specific to your case. The next step is having more answers to your questions. With an online consultation, we want to make that as easy as possible for you. Not to mention, free and without obligation.